The Ministry of Natural Resources and Environment (M.N.R.E.) collected $65,806.64 for the management of Customary Land Leases and Licenses for the financial year 2016-2017. This is according to the M.N.R.E. 2016-2017 Annual Report. 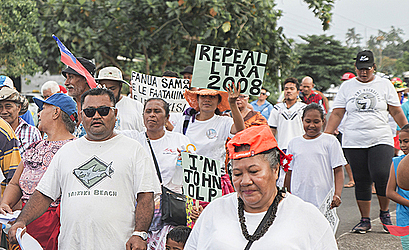 The leasing of customary lands has been a controversial topic in Samoa. According to the Annual Report, the Customary Land Lease Section by mandate is responsible primarily for the administration of customary lands through the licensing and leasing systems, on behalf of the Minister, who is the sole trustee for beneficial owners of customary lands in accordance with the provisions of the Alienation of Customary Land Act 1965. The report notes there are ongoing updates of customary lands database, ongoing update, scanning and sorting into chronological order of current and new customary land lease files for efficiency purposes and ease of file retrieval. They are also renewing and updating all files for Private Ventures (P.Vs) published in Savali Newspapers and the continuation of meetings with beneficial owners on ways to motivate and encourage the economic use of their customary lands that are largely underutilised. Furthermore, there is also collaboration with Customary Land Advisory Commission as a counterpart to facilitate public meetings with customary landowners in publicizing as well as promoting the economic use of customary lands in Samoa for the benefits of landowners. “There is a slight increase in revenue earned for this financial year 2016 -2017 compared to financial year 2015-2016 for leasing customary lands. This is due to the effectiveness and timely payment of leases as reflected in the last financial year. The report points out that while there were 25 leases advertised in the Savali for financial year 2016 – 2017 and 23 were confirmed without objection while two remained at Lands and Titles Courts for hearing and determination of the rightful beneficial owner. “A significant variance or difference in the number of new leases in Upolu compared to Savaii is also observed in this reporting period. “This is due to developments in terms of infrastructure and social services such as better welfare for people who are mainly concentrated and/or centralised in Upolu. “This has largely attracted people to move and build churches and initiate developments with certainty from time to time. The annual report also points out the Customary Land Lease section is counterpart to the Customary Land Advisory Commission (C.L.A.C.) in its support role in leasing customary lands to both local and foreign investors which C.L.A.C. continues progressively to promote through the economic use of customary lands in Samoa. 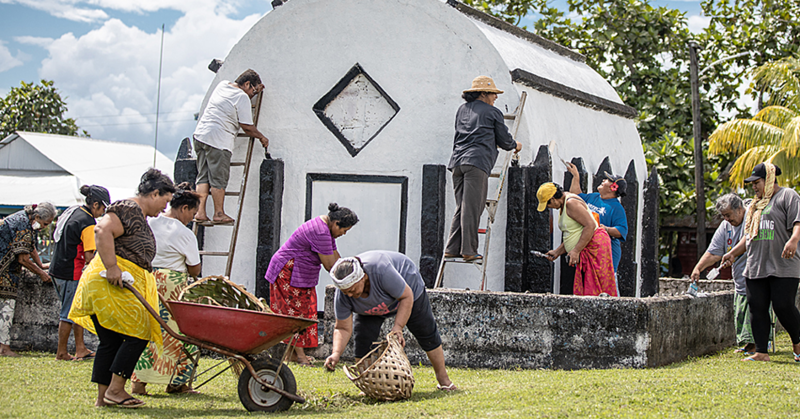 The main focal drive behind this movement is economic growth, not only for Samoa as a country, but is perceived as largely beneficial to landowners of customary lands and their extended families. It also outlines the role of the secretariat to C.L.A.C., which is promoting the economic use of customary lands is the primary task or core function of the C.L.A.C. and it is significantly seen as encouraging the opening up of this type of land tenure market for foreign investments. “Customary land comprises the majority of lands in Samoa or about two-thirds of land composition in Samoa at roughly 81percent. “These lands are largely underutilised and are therefore in dire need for use as collateral to ensure not only a sustained economy for Samoa in the long run, but more importantly beneficial to landowners and their extended family members. “With this mindset behind government thinking, it then led primarily to the establishment of the C.L.A.C. as a seven-year project to deal directly with the promotion of customary lands through licensing and leasing purely for purposes of enhancing economic development of customary landowners and the rural communities. The report also notes that the project on promoting the economic use of customary lands is continuing on its phase one and technical assistance funded by the Asian Development Bank (A.D.B.). “The following are the Consultants provided under this TA: The Project Manager, the Consultation and Communications Consultant, the International Legal Consultant, the Local Legal Consultant. 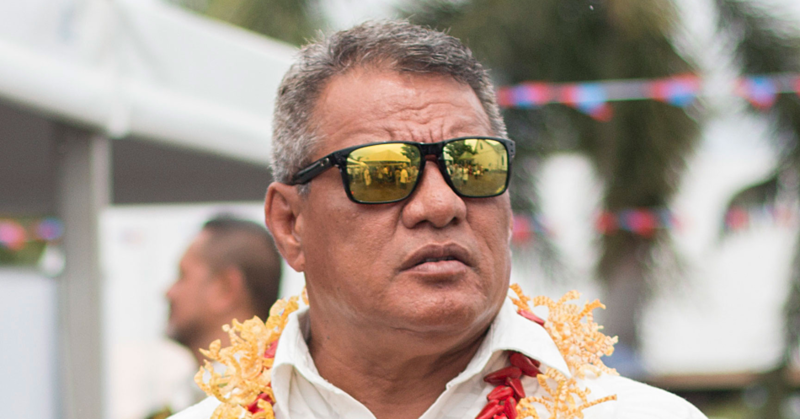 Chairman: Seamalepua Oloialii Ailuai, Member: Tusani Iosefatu Reti, Member: Alaifea Laitititi Belford.